With the rapid pace at which technology is growing, it is more important than ever to consider the significance of network security in a business. 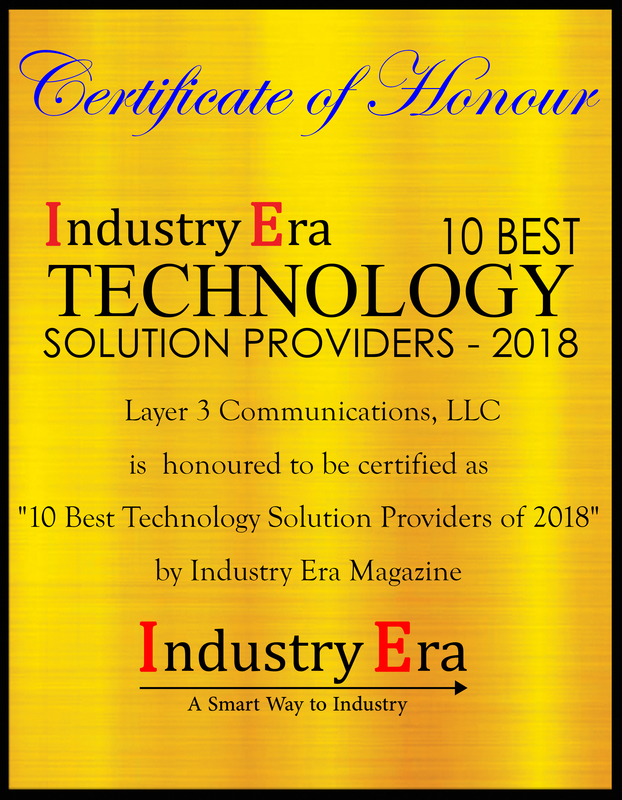 Georgia based Layer 3 Communications has culminated into a professional services organization that provides hosted and managed solutions, cyber security solutions, and complex infrastructure engagements. Layer 3 Communications has garnered impressive amount of clients owing to their methodical consultative approach in working with clients to help solve problems. “We work with our clients to understand their environment, pain points, needs and requirements. 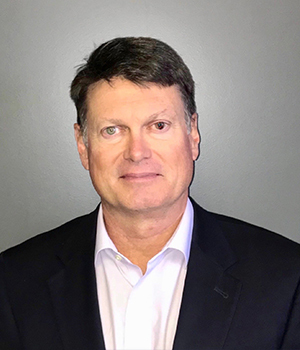 Our engineering team has vast knowledge and experience in leading technologies and across various environments,” says Rodney Turner, President and CEO, Layer 3 Communications. Layer 3 Communications was founded in 1998 and has three managing partners Josh Bailey, Rodney Turner and Craig Wall. Layer 3 Communications soon after its inception culminated into one of the most sought after an engineering firm that specializes in providing complex network services and products. 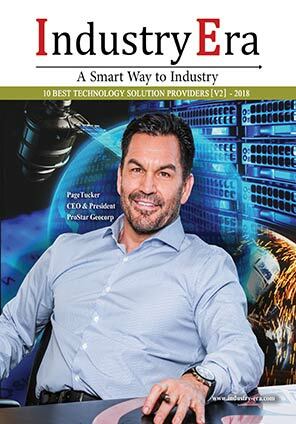 Along with its’ hosted solutions, the company provides its’ customers with design, management, optimization and ongoing support of network infrastructure and security including real-time monitoring and zero-day threat mitigation.
" We work with our clients to understand their environment, pain points, needs and requirements. Our engineering team has vast knowledge and experience in leading technologies and across various environments "
Layer 3 Communications’ Infrastructure Architects work with the customer to understand the goals and objectives of the project. Through a series of meetings with the client, Layer 3 Communications develops the network architecture using leading technologies to provide the right solution for the situation. Once the network architecture has been agreed upon by all parties, Layer 3 Communications puts together a design document. The design document acts as a guide for the implementation team to pre-configure and stage the network in our lab environment. “After the network has been pre-configured and staged, we schedule a maintenance window with our client to implement the solution. After the solution has been implemented, we perform tests to verify the network is functioning per the design document,” adds Rodney. The company offers Complex Infrastructure and Engagements including Network audits, Network design and proof of concept, large scale project deployments, project management and problem resolution. Under Cyber Security Solutions they offer tools to heighten your networks security posture and keep it there, in addition, we offer vulnerability management, Penetration Testing, Distributed Denial of Service Attack, Incident Response, Security Elements Management and Layered Security Analysis. Layer 3 Communications hosted and managed solutions include network management and support, infrastructure as a service and business continuity. In an instance, Angleton Independent School District (AISD) providing quality education experience for pre-kindergarten through 12th grade wanted to install current phone technology and approached Layer 3 Communications. The company discussed a number of phone system options with AISD and decided to go with ShoreTel VoIP for its fast implementation and complete flexibility. The result was saving tons of money along with the ease to manage the communications systems. Since then, Layer 3 Communications has performed two network security upgrades and two voice upgrades for AISD, with the next big step being the addition of emergency notification and mobility. Layer 3 Communications will continue to grow. The areas of growth will include territory expansion, new service offerings, new technologies, and expanded client base. Layer 3 Communications will serve any and all types of clients. We have 20+ years of experience supporting large hospital systems, K-12, higher education, government agencies, fortune 500 companies,and enterprise clients of all sizes. Layer 3 Communications is a Professional Services organization that provides: Consulting, Network Audits, Network Analysis, Network Design, Network Security, Project Management, Staging and Implementation, Installation, Time and Materials, and Support Planning.